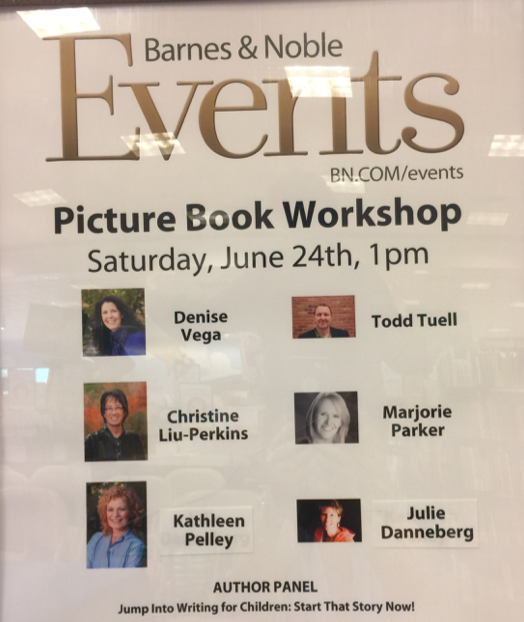 Thanks to all of those aspiring Picture Book Authors (and illustrators) who joined our Workshop at Barnes and Noble last Saturday. 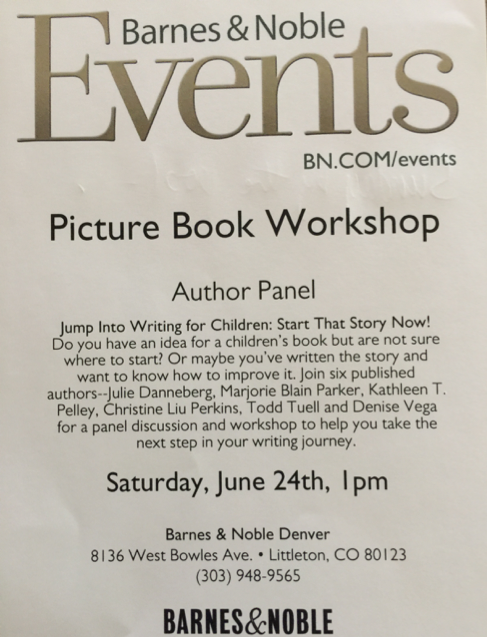 Our Author Panel, which was made up of five of my fellow picture book authors who are part of a critique group, answered some basic questions about the writing life. First and foremost, we all concurred – Don’t give up your day job! Or, as one editor said at a conference, MARRY WELL! In other words, don’t expect to make much money! And for my part, I advised people to focus on the positive aspects of the writing process, even if you never get published. The act of writing helps to clarify our thoughts and feelings and over time, helps us discover what is important in our lives. I always tell children at school, even if you do not want to be an author when you grow up, keep a journal and write down one thing you loved about your day. Not only will you never run out of things to write about – there is ALWAYS something to love in this world, but also, you will never run out of things for which to be grateful – and that makes for a happier life. What is the most important tool in your toolbox? I think we all agreed – the willingness and ability to REVISE, REVISE, REVISE! Good writers need to be willing to write terrible first drafts, and understand that no act of writing is ever wasted, because every word, every phrase, every story that never makes publication is a stepping stone to that final piece that does get published! What Makes Me a Happy Mama?